Self-monitoring of thoughts, feelings and symptoms is an essential skill for clients engaged in cognitive behavioral therapy (CBT). 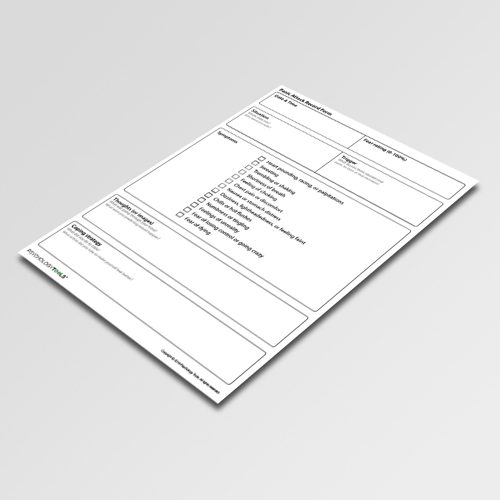 The Panic Attack Record Form helps clients to record the essential information about their experiences of panic. 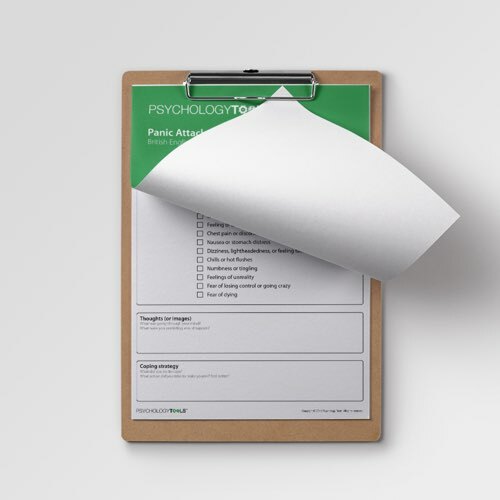 The Panic Attack Record Form is from the book Psychology Tools For Overcoming Panic. 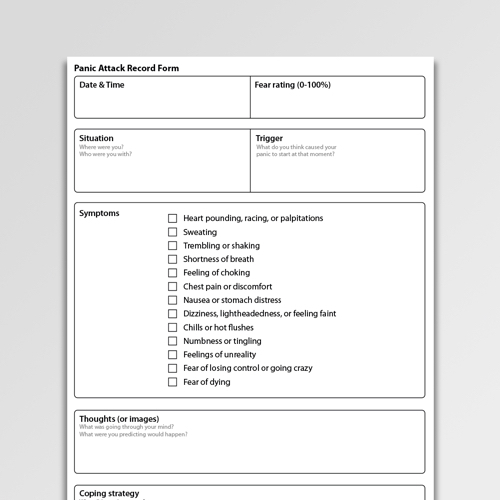 The Panic Attack Record Form is an essential part of treatment for panic. 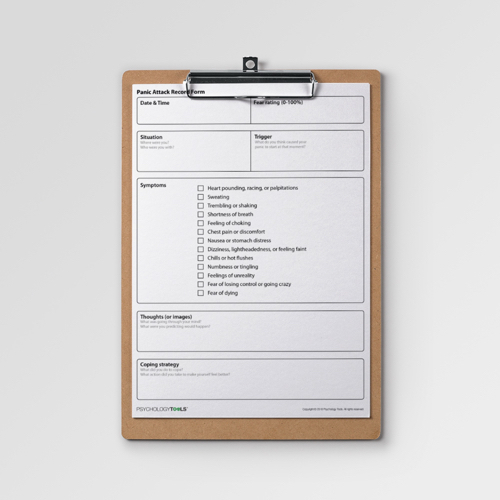 Use this worksheet to record details of panic attacks – ideally as close to the time of the panic attack as possible. You are guided to record the most important information including where & when the panic attack happened, physiological symptoms you experienced, thoughts you had during the panic attack, and things you did to cope with how you felt. The information gathered from (a series of) these forms can be used to guide the course of an individual’s treatment for panic. Whalley, M. G. (2015). Psychology Tools For Overcoming Panic. 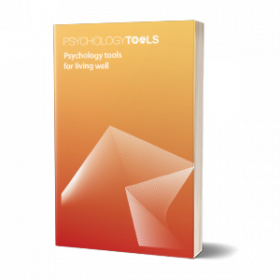 Psychology Tools.